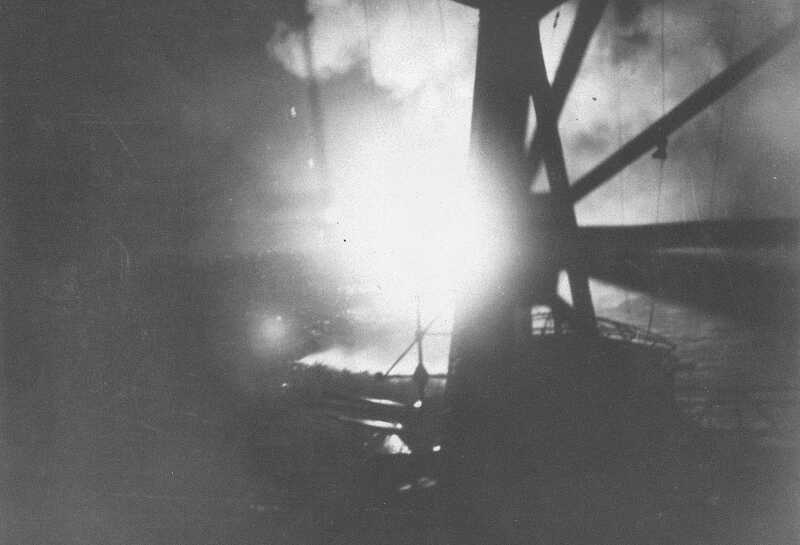 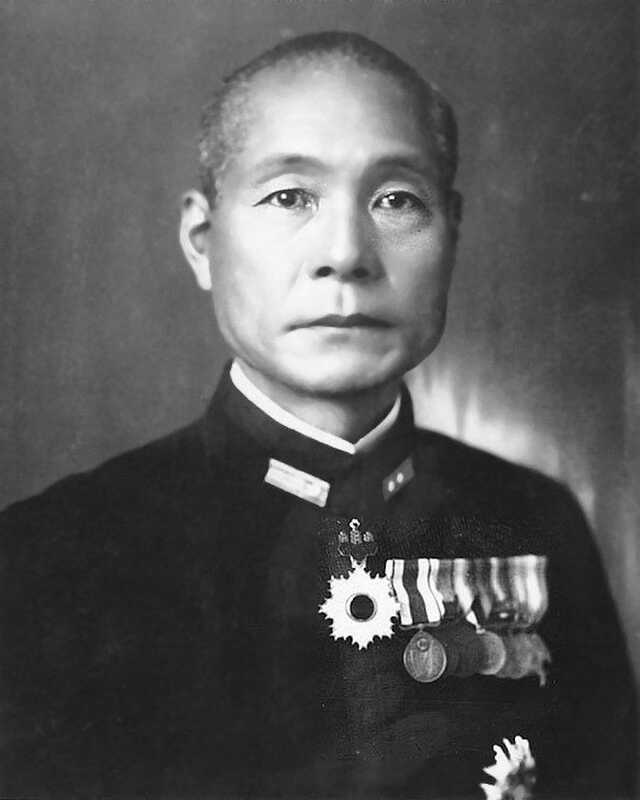 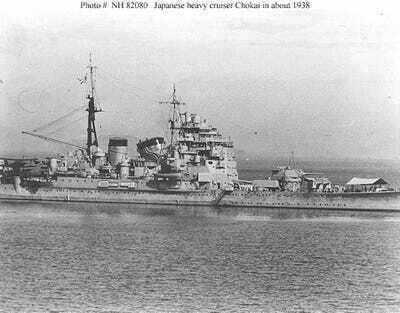 Wikimedia CommonsView from the Japanese cruiser Chokai of the battle with the Allied ‘southern’ force as aerial flares illuminate the Allied cruisers Canberra and Chicago. 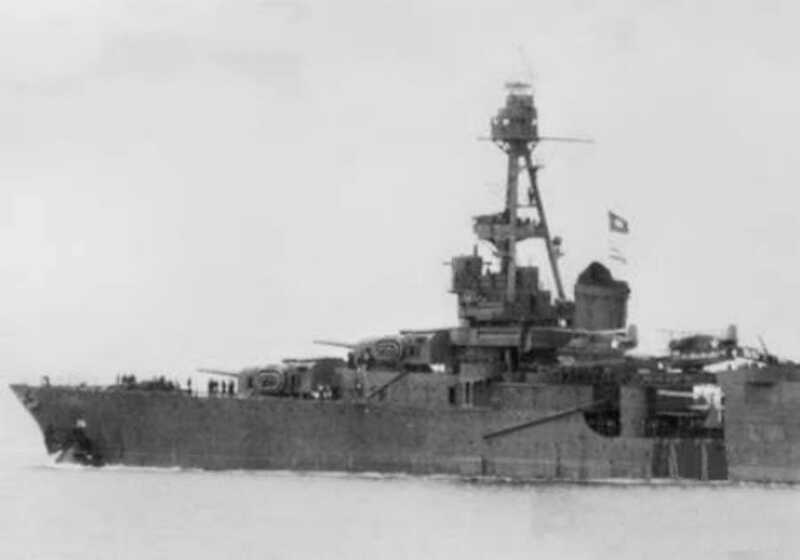 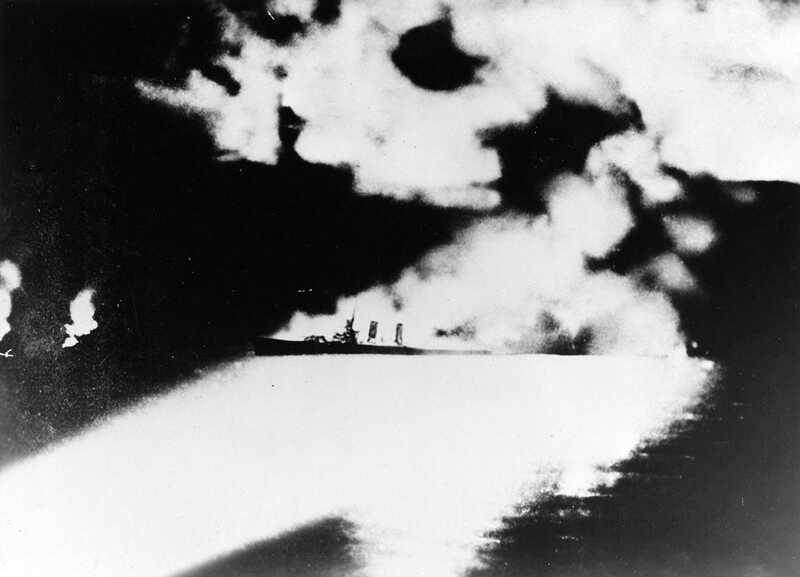 Wikimedia CommonsThe USS Quincy burning and illuminated by a Japanese cruiser during the Battle of Savo Island, photographed from a Japanese cruiser. 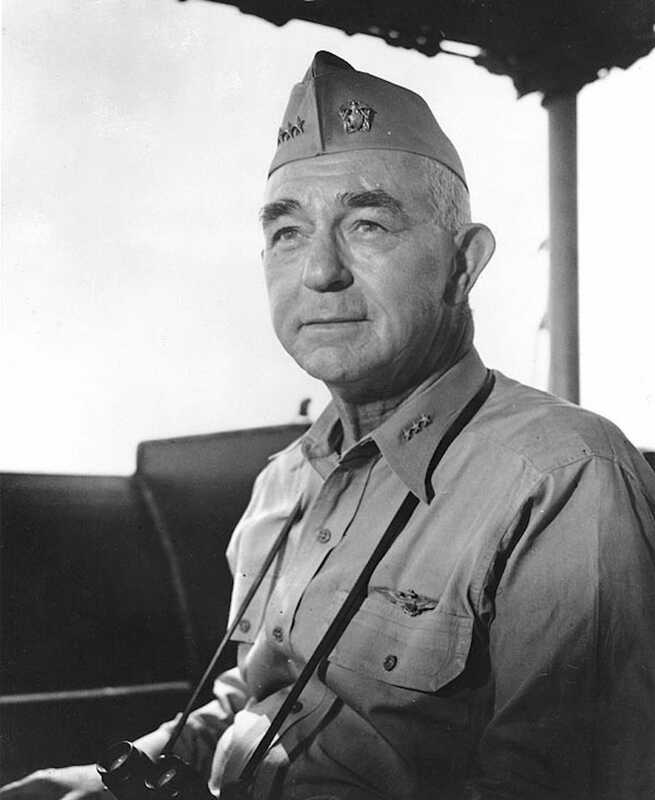 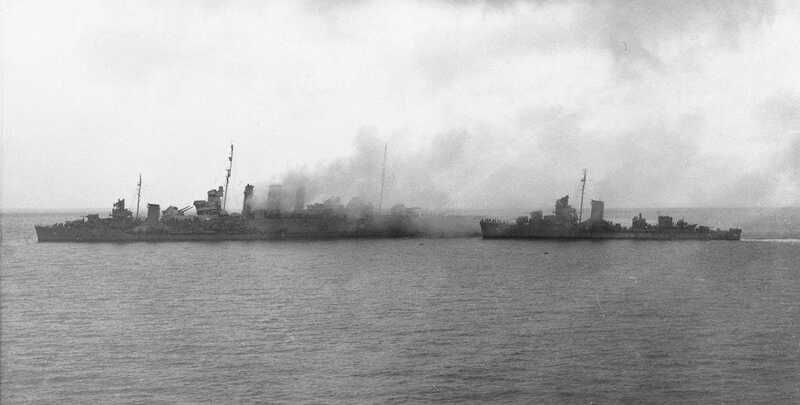 US NavyUS destroyers Blue and Patterson evacuate the crew from the burning HMS Canberra. 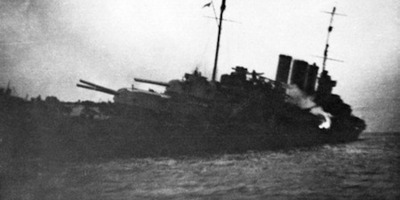 Wikimedia CommonsThe damaged bow of the USS Chicago. 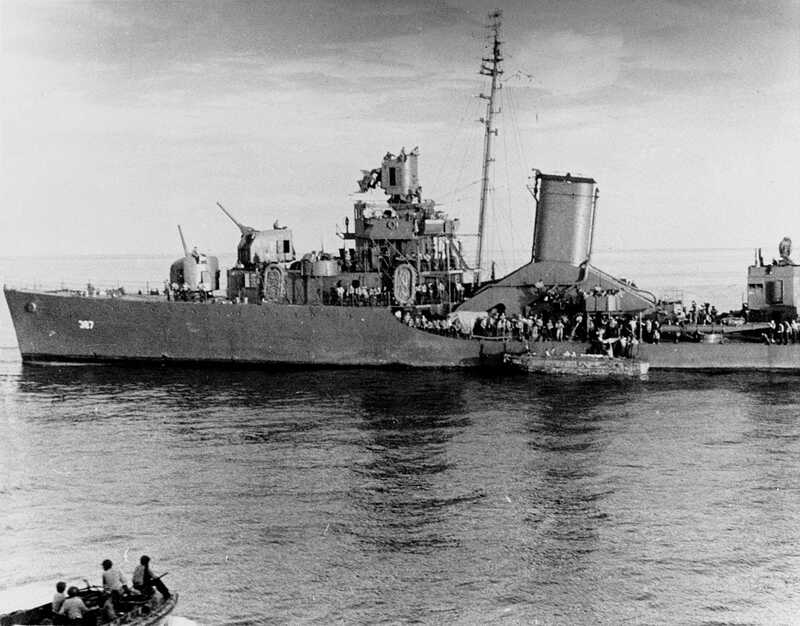 Wikimedia CommonsUSS Blue with survivors from the Battle Savo Island, August 9, 1942. 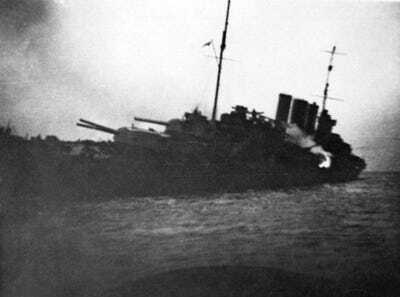 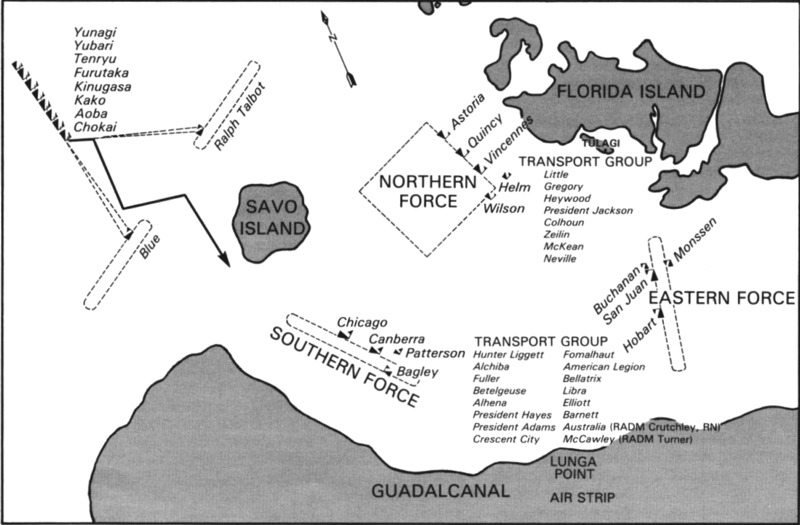 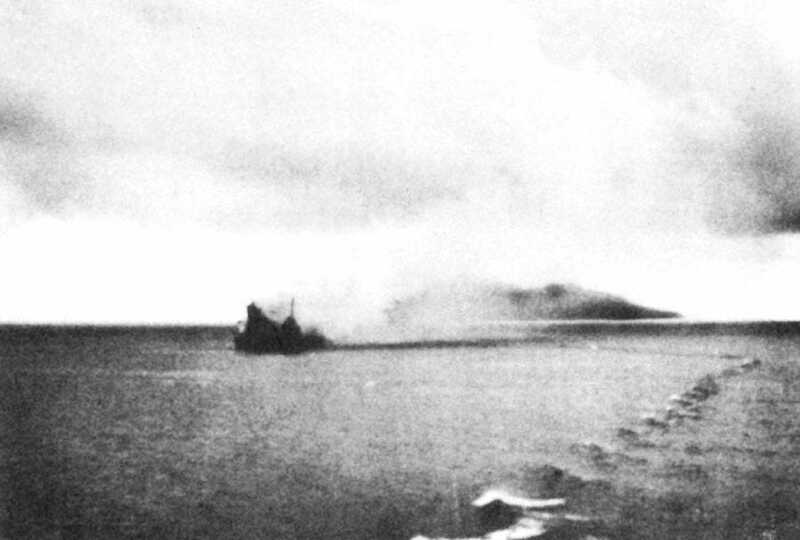 Wikimedia CommonsHMS Canberra sinking off Savo Island.